You’re amazing. You’re the gatekeeper to new jobs, the person who will help a new hire settle in and, later on, progress in their career. For you, the last 18 years were pretty great. Unemployment was high, and you were able to be picky. You could create a long wish list for your open jobs, and a perfect candidate would appear. They might even take less money than market value. You didn’t have to bother about relocation: They were so happy to have a job, they’d move themselves. Forget about signing bonuses or extra vacation days. Those things were so 1999. Landing a great candidate was easy. People were desperate to find work and willing to put up with just about anything you could dish out. Today, things are changing. We’ve hit record-low levels of unemployment. People are feeling excited about their job searches again. If you’re heading into this new climate to make a hire, you need to understand something: The market has shifted in favor of the job seeker. This isn’t necessarily a bad thing. In fact, because people are no longer so desperate for work, there’s a good chance the next hire you make will be someone who truly loves your company and wants to work for it. However, there’s a catch. You’re going to have to cut back on that big wish list. I know — it would be great if you could find everything you want in one person. It’s the dream: a candidate who understands sales, marketing, technology, and operations; has ten years of experience; has worked at organizations just like yours in the past; and has proficiency with all of the same software that you use. I have to be honest with you: This person does not exist. 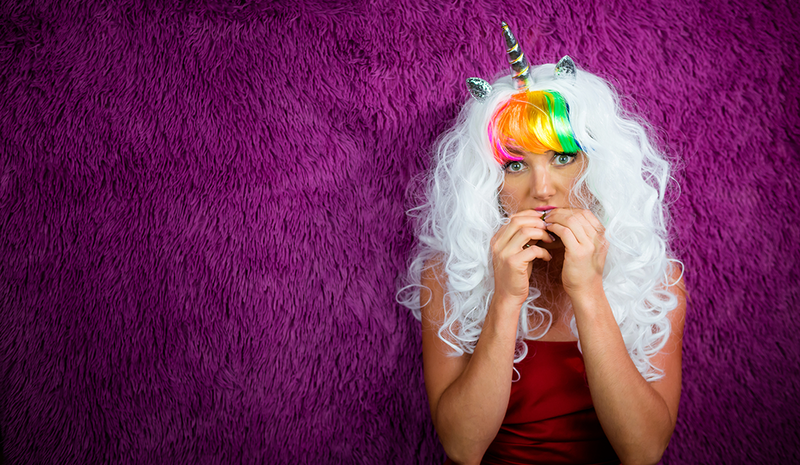 In the world of hiring, we call them “purple unicorns” precisely because of their mythic status. As long as you keep searching for the unicorn, your jobs are going to remain unfilled — especially in today’s job market. Meanwhile, you are frustrating your HR team and offending great candidates with your unrealistic requests. It’s time to cut your wish list of 20 requirements down to six. It’s time to look for someone who is willing to work hard and has the right attitude. That’s the person you want on your team — not just someone who can check a bunch of boxes. The sooner you understand this, the sooner you can start hiring great candidates.